I ordered this today. It was $149 for 15 brushes (about $10 per brush -STEAL). It includes 7 new face brushes, 7 new eye brushes, and the first Sigma Makeup lip brush. All brushes are stored in our signature Sigma Makeup brush roll, which is ideal to protect your Sigma Makeup brush collection. By request, I did a tutorial using the Graftobian HD Creme Super Palette, which I reviewed here. I used Midnight Marigold, which is equivalent to MAC NC50. I have been searching for the Maybelline Eye Studio Lasting Drama Gel Liners for the longest; I went to several different pharmacies in my area, such as Duane Reade, Rite Aid, and CVS. I FINALLY found the Gel Liners at the Duane Reade on the Corner of Montague Street & Court Street (Brooklyn Heights). For my Brooklyn people who are searching for them, they had a good amount there, unlike the one on Jay St & Fulton. 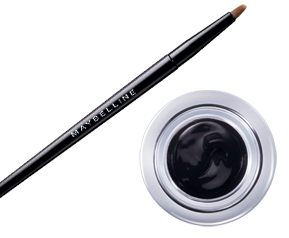 Maybelline’s Claims: Only our oil-free formula can hold highly concentrated pigments in a clear gel base. 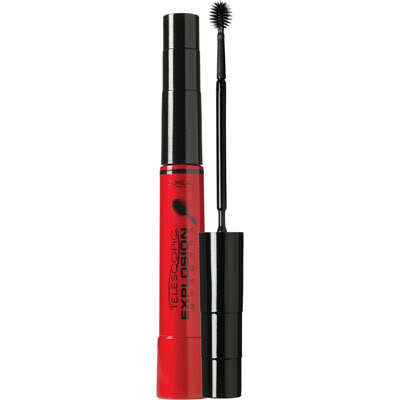 I also purchased this, L’Oreal’s Telescopic Explosion. It was suggested to me by one of my Sorors. I tried it last night. I don’t really like it. For $9.49 I think it could be a whole lot better. What my MF 2000 Calorie Mascara did for me in one application, I had to apply at least 4 coats to get the look I wanted with L’Oreal’s Telescopic Explosion. It didn’t clump or flake, nor did it smudge. It just didn’t do anything for my lashes. 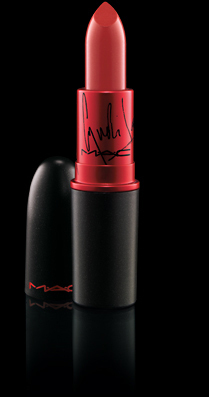 Price: $14 – All proceeds of VIVA GLAM Lipstick and Lipglass is donated to the M·A·C AIDS Fund to support men, women, and children living with HIV and AIDS. I LOVE them BOTH! 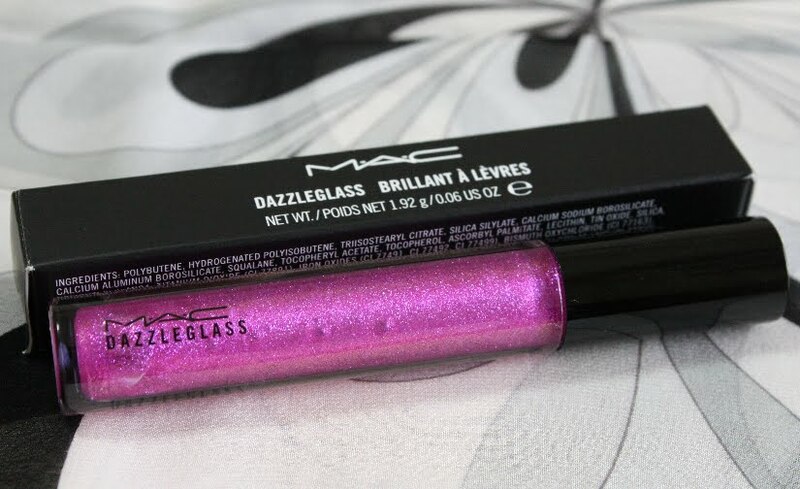 I wore Gaga last night lined my lips with Chestnut Liner, layered Pinkarat Lustreglass … This is how it looked. Graftobian has a Comparison Chart (click here) for this palette & the other 2 (Neutral & Cool) which shows the comparable colors in other brands, which will make it easier to match colors. -The foundations are very creamy, highly pigmented; you need very little. -The foundations can be thinned out with a moisturizer or thinner (I used the Graftobian Oxyderm Moisturizer) to get the coverage you need or to make a tinted moisturizer. -You can use your finger, foundation brush, or sponge to apply it. -Colors can be mixed to achieve your desired color. Great palette to have in your kit, especially since it has a variety of shades.